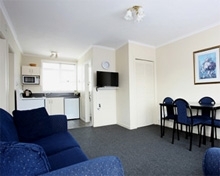 Enjoy peace and quiet here in your accommodation Invercargill. Get a perfect night’s sleep at your Invercargill accommodation, which is next to Queens Park which includes walking and fitness tracks, golf course and gardens. 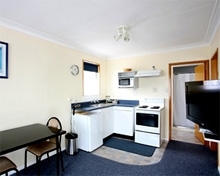 We wish to make your stay in our accommodation comfortable and pleasant, if there is any way in which we can help with information on Invercargill, please let us know, as we are only too happy to share our local knowledge. Queens Park Motels has 14 apartment-type units consisting of 6 self-contained studios, 2 x 1-bedroom/twin share units and 6 x 2-bedroom units. Accessibility Facilities: We have 2 x units with no steps and handles on toilet wall and are happy to assist in any way that we can.